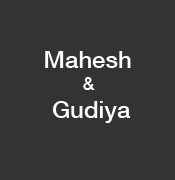 Name of the Couple : Mahesh and Gudiya. Profile of the victim : Mahesh, 20, a slightly handicapped person, was the resident of village of Biruni in Agra, site of the Taj Mahal while Gudiya, 18, a pretty orphan girl, had been living with her uncle in the village of Naharra, which has a population of about 4000 people, mainly from the Thakur land-owning caste. they were distant cousins who fell inlove. Murdered person : Mahesh and Gudiya. The accused : Her uncle of Naharra and members of Thakur’s panchayat. Place of Murder : Naharra in Agra (UP). Assassination : The crime for which the young lovers were sentenced to death by the village council: they were distant cousins who fell inlove. they decided to elope to the village of Hathras, where Mahesh’s aunt lives. Their relatives in Naharra were enraged. They reportedly gathered together a posse and left for Hathras. Mahesh and Gudiya were then bundled into the boot of a car and taken back to Naharra. Locals say the panchayat, or village council, was summoned into extraordinary session to consider the “incestuous relationship” and the pair’s defiance of the family. The couple were ordered to end their relationship. When they refused, the panchayat passed its verdict: a death sentence for lowering the standing of the Thakur community. The punishment was slow, painful and remorseless as the mob avenged the honour of the village.